It has been designed to be used by OEMs to incorporate into their machines and structures. The LibraNODE can read 0-10V, 4-20mA and strain-gauge inputs and convert them into the digital data stream used by the Libra network. The LibraNODE also has outputs for driving LEDs to indicate the state of the node and its associated sensor. 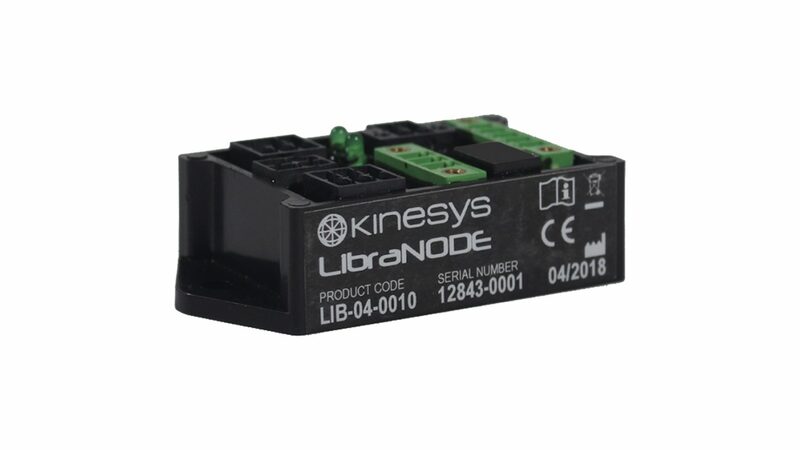 Each LibraNODE is supplied with two short cable tails, one wired to an XLR4 female connector and one wired to an XLR4 male connector to allow daisy chaining of the units*. These tails come pre-fitted with glands to allow easy insertion into machinery. 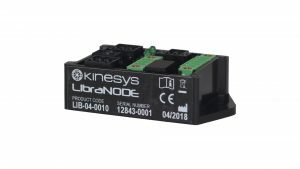 Each LibraNODE requires a unique address to function on a network and a calibration process will be required to allow it work correctly with its paired sensor. 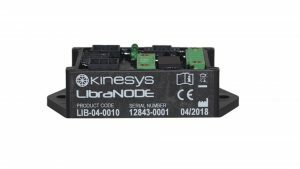 Both the calibration and address setting are done from a software program available free from Kinesys. The calibration process will require known weights of increasing size to be applied to the sensor to enable it to be tuned correctly. *The overall height once connectors and wiring is fitted will vary. The wires exit vertically from the connectors so how they are routed will determine the overall height.